2018 delivered a truckload of Highland Park releases. Contemplating the Viking onslaught, I’m reminded not too far behind is Jura. A complete overhaul of its core range, a new travel retail assortment and then a series of vintage editions. The frightening realisation there is more Jura out there than ever before. The majority of it is instantly forgettable. Simple as that, unfortunately. Yes, we’ve tried to find the one during our journey. The overwhelming sense is one of disappointment. The dire confused and ultimately botched Jura Seven Wood, or the entry-level and therefore dull Jura Journey. Even the Jura 18 year old that might have offered a glimmer of hope, fell by the wayside. Leaving us a sense of the last man standing, which is the 10 year old expression. As I type this, we’re in the season of giving, or Christmas as it is widely prompted to the consumer ranks. I’m not a huge fan of the festivities and the abundance of gift giving when the real message has been relegated to a stocking filler. In Scotland, this time of the year is more for family and looking back and grasping the promise and future of a new year, once you’ve overcome the delight of Hogmanay. Each year I’d be amazed that she could find a terrible jumper that outdid the previous incarnation. My local charity shop did extremely well during this period. I miss my nanna and family gatherings not only provide positive memories, but also underline the gaps where friends and family once were. I always have a dram to remember those by – especially my grandfather who was partial to Highland Teacher’s Cream. What does all this have to do with the Jura 10 you ask? Well, this was a kind gift from a work colleague. Traditionally, the gift would be a box of wine. I rarely drink wine nowadays and we leave such things to Adam and Mark to pontificate about to a tremendous degree. This year brought about an unexpected change with a bottle of whisky. I was caught totally unaware and off guard. The moment reminded me of my nanna’s gifts and the same behaviours immediately were resurrected. A thoughtful gift, one that showed more thought and I’m touched by such a gesture. Except that really you shouldn’t have! At least this won’t end up in the charity shop as the seal has been broken and we’ll delve into the contents shortly enough. The Jura 10 is I’d say a classic expression from the distillery. The one you will see more of than the rest, and it offers that comfort of a solid age statement. In saying this we weren’t hugely taken by the Jura Origin 10 year old as we build up a reasonable stable of reviews from this distillery. We want to find that enjoyable and great Jura, we’ve spent enough money and years trying to find the one and I suspect the mission will continue. Let’s not lie to ourselves here as the Jura 10 in any form won’t be a huge leap forward. This is a mere rebranding rather than a significant change. As far as we know things haven’t changed at the distillery although there are rumours of a significant expansion. Jura continues to produce in typical Jura fashion and that’s the heart of the problem. The packaging does not contain a new style or vision for the distillery. This is merely existing maturing stock that would have gone into the Origin or another release if not for the rebrand. On paper are the traditional problems of artificial colouring and the low strength of 40%. These alongside the use of chill-filtration, mean that any Jura has its work cut out for it. We’ve talked about the 40% strength being an almost criminal act nowadays here on MALT. There just isn’t a need if you’re trying to show your distillery in the best light. The twist for this new Jura 10 is the actual finish. To differentiate this release from its forebearers, a short finish of unspecified duration has been implemented. Prior to this, we know the whisky resided in bourbon casks, but we’re left with questions about the finish. How long? What sort of sherry casks? Why? All reasonable questions that a consumer may want to know. A visit to the official website provides more detail. America White Oak ex-bourbon barrels and those guys again i.e. the finest aged Oloroso Sherry casks from Jerez, Spain. Although at its regular sub-£40 price point, the majority of questions are pushed aside for the mere satisfaction of buying a recognisable single malt with an age statement. If you’re interested then you can purchase a bottle via the Whisky Exchange for £38.75 or check out Amazon for £31.99 right now although the price fluctuates. Colour: Caramel – what else? On the nose: A squashed orange, more caramel and honey notes. Simple. Ginger and chocolate flakes. A sense of wet rust and marzipan. A little rubber or pencil eraser. This is very quiet and timid. Jelly apple sweets towards the end with a black tea. Water reveals glue and sherbet. In the mouth: Very little initially, some bitter oranges and honeycomb. Vanilla tablet and a spent Tetley teabag. Clay-like and muggy with not much to say for itself. Very closed, even after several attempts over a fortnight. A weak gravy, the finish revives a little with candied orange and lemon. Water? Don’t. I am becoming very tired with the shenanigans from Jura distillery. The fundamental thing that blights this distillery continues. Another inept and disappointing whisky. At this price point there are so many other whiskies available that offer a greater range of value and flavour. 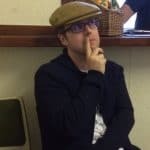 Lead image from the Whisky Exchange and we do have a couple of commission links within this review – such things never affect our opinion and score. It’s probably a strong candidate for a base for whisky cream sauce for your Haggis Neeps and Tatties tonight… unless the Malt team are puritans about that too, and have yours plain. Hi Graham, I do make a mean whisky sauce and quite often its a self-made blend with various pours within the recipe. The Jura would certainly find a home in the bottle and add a bit of colour to the sauce. Thanks, JJ. Sounds like a Paetron Burns super in 2020 could be an idea! Up for that, but not the organisation! As Jura is part of the Whyte and Mackay group is it safe to assume the Oloroso sherry casks are from Gonzalez Byass? 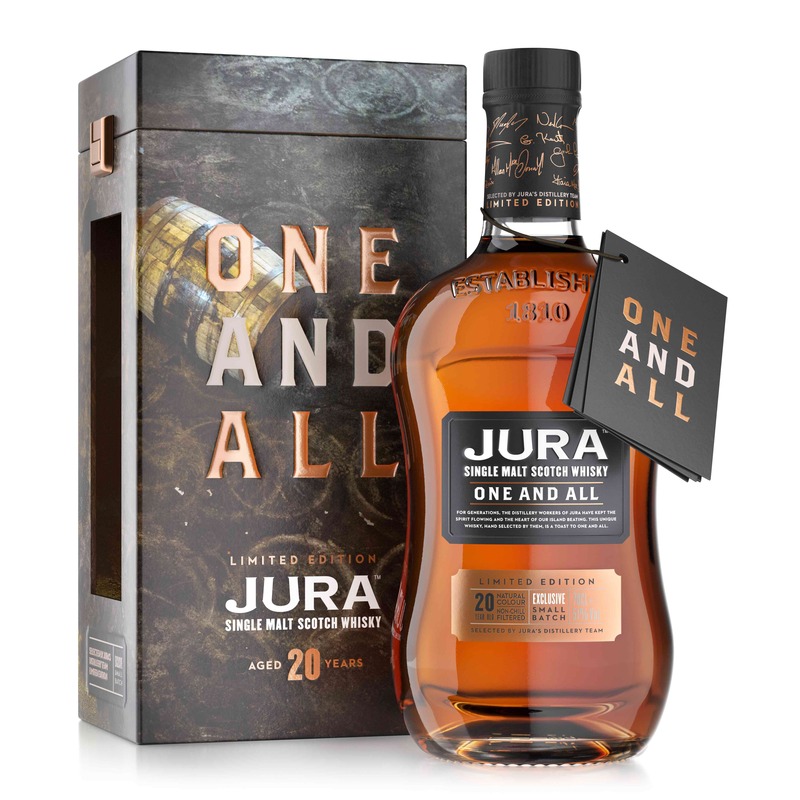 It may just have been my imagination but I seem to recall that tell-tale commodity raisin note infiltrating the Jura 10 of old at some juncture. Perhaps it was just the suggestive powers of the caramel colouring as I’m also sure it was lighter in hue originally. (Mr Paterson certainly likes a fake tan.) All academic now unless one could source some old Juras at auction. Perish the thought!